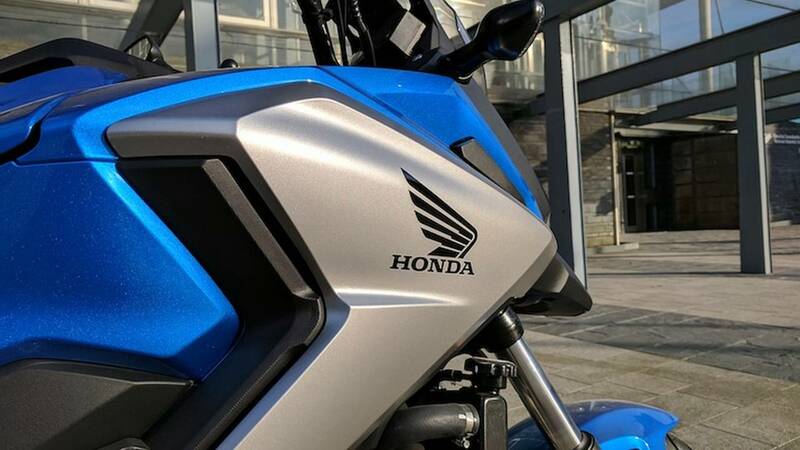 With the rumor mill suggesting Honda's next Gold Wing will have DCT, we take a look at what it's like to ride a bike with an automatic transmission. You down with DCT? Yeah, you know me. And with Honda hinting strongly that the feature will be added to a new Gold Wing variant soon, clearly Big Red is hoping I’m not the only one. 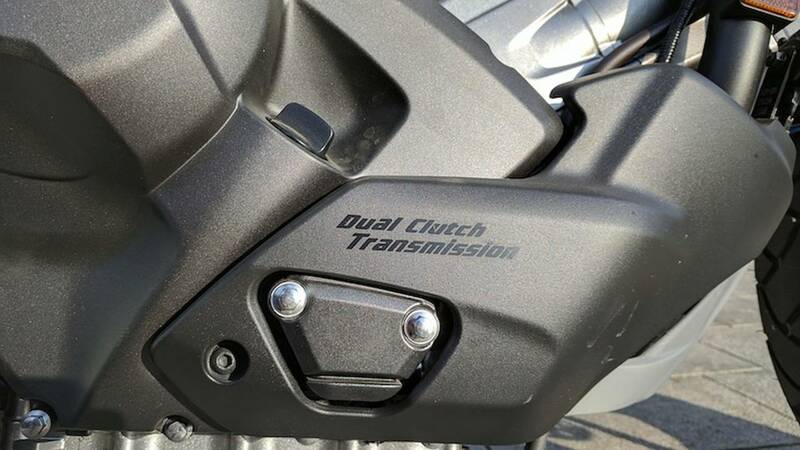 DCT, of course, stands for Dual Clutch Transmission; it’s the “automatic” transmission feature that Honda has been slowly adding to more and more bikes in recent years. I put the word “automatic” in quotes there because engineering boffins will tell you it’s not really the same thing as an automatic transmission in a car. Honda will point out it’s been flirting with automatic transmissions for nigh 60 years now, stretching all the way back to its 1958 C100 Super Cub, which was equipped with an automatic centrifugal clutch. But the DCT technology is relatively new, as its application for two-wheelers other than scooters. First introduced as an option for the VFR1200F back in 2009, DCT is now in its third generation and available on 10 Honda models, depending on which part of the world you live in: CTX700, CTX700N, NC750S (700 in the US), NC750X (700 in the US), NC750D (Integra), X-ADV, NM4 (Vultus), Africa Twin (CRF1000L), VFR1200F, and VFR1200X. Despite these many iterations, until earlier this year I had never ridden a bike with DCT. The team at Honda UK had me come pick up an NC750X, saying they felt it best demonstrated the DCT experience. 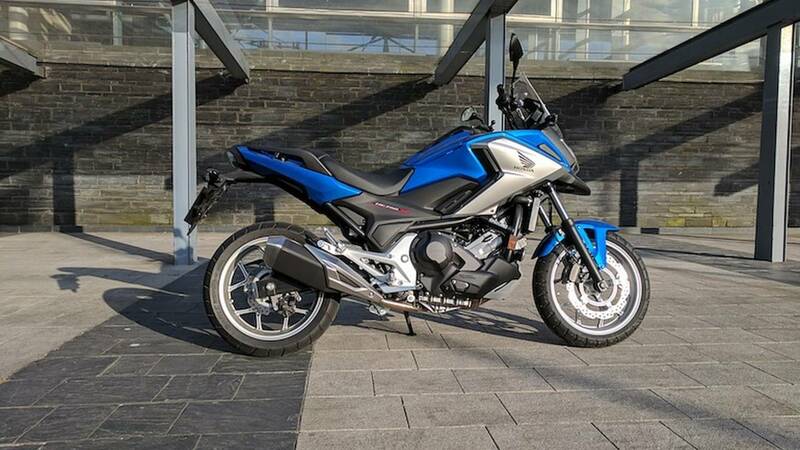 No complaints from me; the NC750X (or, well, the NC700X, which is effectively the same bike – I don’t know why Europe gets 50 cc more) is a bike that we here at RideApart have been fans of for a very long time. A do-all machine that is insanely affordable when put into perspective, the bike has quietly become one of Honda’s most popular in Europe. My first challenge came in trying to mentally separate the transmission experience from the overall experience of the bike. The NC750X is a good motorcycle, but I’ll admit it’s not one of my favorites. The engine is rougher than it needs to be, and if I were to own one I’d probably end up sinking so much money into accessories that I’d be better off just buying the Africa Twin that I’d be trying to transform this thing into. 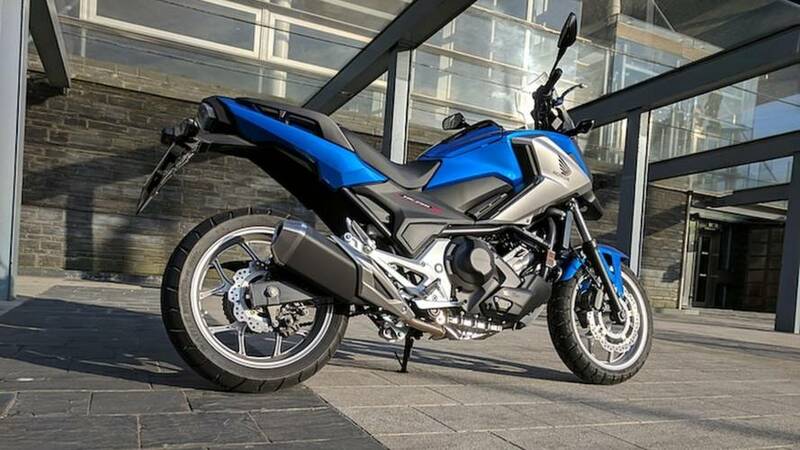 That said, the NC750X has a blank slate quality to it, so compartmentalizing its elements is perhaps easier than, say, on a VFR1200F, where I might be getting lost in irrelevant aspects like handling, power, suspension, etc. With most DCT systems Honda offers a number of different riding modes, which determine how the transmission performs. 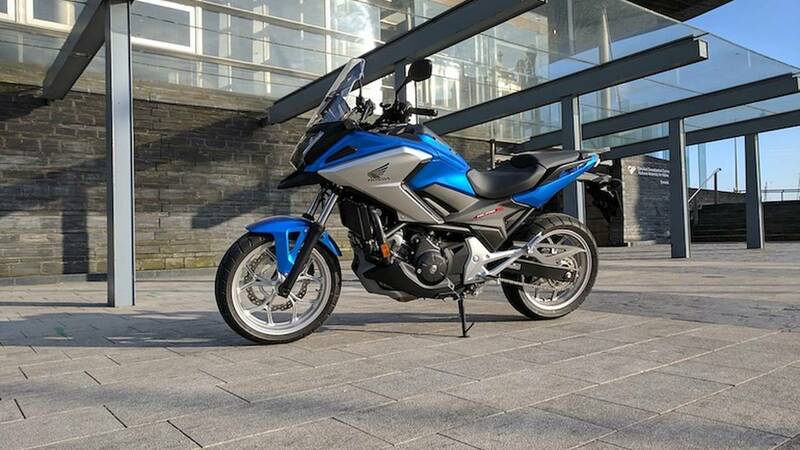 The NC750X, for example, is equipped with Drive and Sport modes. The former aims to shift gear in such a way that you achieve maximum fuel economy. This means it’ll be reaching for fifth gear at 30 mph. Sport, meanwhile, will hold gears a little longer, allowing you to nudge closer to the redline. In this environment, not having to pay attention to gear changes frees up a surprising amount of mental space. I mean, a really surprising amount. After the initial few instances of grabbing for a non-existent clutch lever I found myself being more observant and more confident as I navigated through heavy traffic. It felt like a low-level superpower, as as if I’d been bitten by a radioactive owl and suddenly gifted a 20-percent boost in awareness. I was better able to read and anticipate situations, and felt more relaxed as a result. Some of this was a me thing, of course. I have a tendency to rely on engine braking a lot, having done a fair bit of riding with British cops who are obsessed with never showing their brake lights. As a result, I do have a habit of putting strain on a transmission. And it's worth noting that not too long ago I had a conversation with a fellow mo-jo who is a better rider than myself and he raved about the DCT on the Africa Twin. By and large, I really liked riding a bike with DCT. Whether I'd personally choose to own a bike with the feature would depend on whether it came on a bike that I really wanted. To that end, I figure I should put on my Pretty Please pants and try to get hold of a DCT-equipped VFR1200F. Tantalizingly, in the United Kingdom Honda is currently offering the DCT-equipped Africa Twin at 0-percent interest. Combined with a no-money-down offer, that's almost enough to make me reconsider my quibbles about the Africa Twin. Primarily the disadvantages of DCT are personal and psychological. If you tell yourself you don’t like it, you won’t. That’s a you thing. It has nothing to do with DCT. True, I personally wasn’t a fan of how the transmission behaved through corners but with more time and some light mental retraining I’ll bet I could adjust. And with a more exciting motorcycle (eg, VFR1200F), I’d feel an incentive to put in the effort. So, it’s good that Honda is committed to the DCT format, making it available in several “flavors” to be able to suit different tastes. I think it will be particularly fitting if added to the Gold Wing. When I was a young boy, my family were all in the car when the cruise control feature got locked and would not shut off. My father jammed the brakes, but to no avail; the car wanted to go 60 mph regardless of the traffic ahead. Ultimately he managed to pull it out of gear, but still the car’s engine screamed in an effort to hurtle us to our deaths. What’s to stop that sort of thing happening with DCT? If the bike is making the decisions, what prevents it from getting locked in first gear? What happens if the engine suddenly cuts out while you're riding down the highway? There’s no clutch lever to grab, no gear pedal to kick at: no means of manually disengaging the transmission. I thought about this a lot while I rode around on the NC750X. What the hell would I do? Jam the brakes and pray, I guess. Look forward to writing another article about crashing.